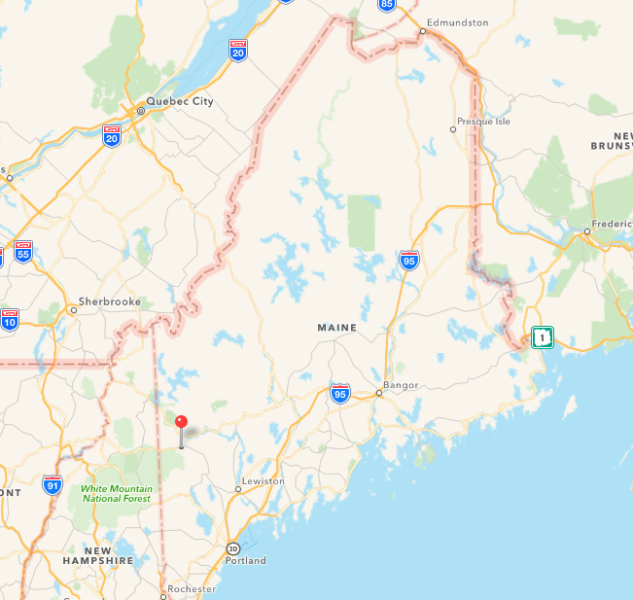 The town of Bethel has a rich history, including the fact that it was once an Abenaki Indian village before being given to Josiah Richardson and his heirs, in 1769, for his contribution to the Battle of Quebec. Nathaniel Segar was the first person to actually begin clearing the land and settled there in 1774. On June 10, 1796, the town was incorporated as Bethel and the community started to grow. Prospect Hotel, 1909. Photo courtesy wikipedia. Bethel Maine is a beautiful place to visit as I have found out. The town may be small, but there were plenty of outdoor activities for me to do with my family. We had chosen Bethel as our vacation destination, because we wanted to be able to do a lot of hiking in the mountains. When we arrived in Bethel, we drove through the small town until we reached our hotel. We quickly learned that we could walk from our hotel to the end of Main Street in town within a matter of minutes. We checked into the Bethel Inn, which is a combination of an inn and townhouses. We did not stay inside the inn portion, because I wanted a kitchen and more space for my family. 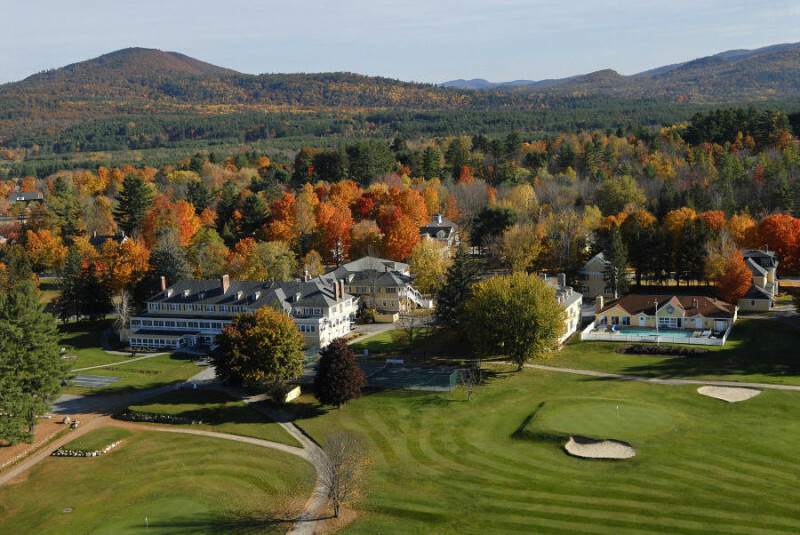 The Bethel Inn is located on a golf course and there is nothing more beautiful than watching the sun set over the golf course every evening. One of the first things we did on our trip was to complete the Historic Bethel Walking Tour. There are 39 stops on the 1.9 mile tour and it includes places from the 1770s until the 1920s. We found that every stop on the tour had been chosen because of the architecture, integrity and importance to the area. We enjoyed learning more about the unique places in Bethel, including local leaders’ homesteads, historic inns, churches and common spaces. My family loves to go hiking and there are enough trails in Bethel where we could have hiked every day for weeks. There are many shorter hikes, so we discovered that it was possible to do many of them in one day. We were happy to see that many of the trails were clearly marked and easy to get to from the road. We spent an entire day exploring Screw Auger Falls, Mother Walker Falls, Moose Cave and many more. My absolute favorite was Moose Cave even though the story of the cave is quite sad. When we were at Moose Cave, we read the sign that stated that a moose fell into a cave at night and it was not able to get out. The moose died while in the cave and this is why it is called Moose Cave. The legend also states that people can still hear the moose calling out to be rescued. 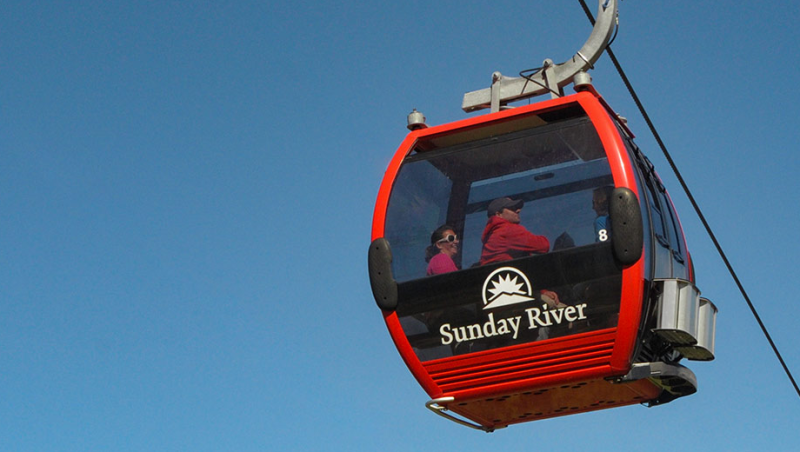 Sunday River is the best place to see the scenery in Bethel, whether it is from the ground or the sky. We were able to ride the Chondola up to the North Peak for some hiking before riding it back down to explore the rest of Sunday River. The panoramic views from the Chondola are absolutely breathtaking and it is an activity that I would recommend to everyone. I wasn’t able to try the zip lines, because no one else in my family was brave enough to do it with me. DiCocoa’s Market and Bakery is located in a gorgeous Victorian House on Main Street. They have been open since 1995 and they serve meals that are made from scratch using the freshest ingredients. They also try to use organic and natural products as often as possible. DiCocoa’s has many regular customers that intermingle with all of the people who are visiting the town. Everyone loves their rich coffee, handmade croissants and almond granola in the morning. Their soups and sandwiches are best sellers at lunchtime and people usually purchase a ganache dipped éclair for dessert. The Funky Red Barn is located on Summer Street and they are famous for their prime rib. They serve it in small bite size portions, as a sandwich, a signature cut and queen and king cuts, so there is a prime rib plate that is perfect for every guest. This is also a family friendly restaurant and the staff is very friendly. A pool table is even available for those guests who want to play a game while enjoying their drink or waiting for their food. I am definitely planning a return trip to the area, so that I can rediscover the beauty and spend more time in the fabulous mountains. 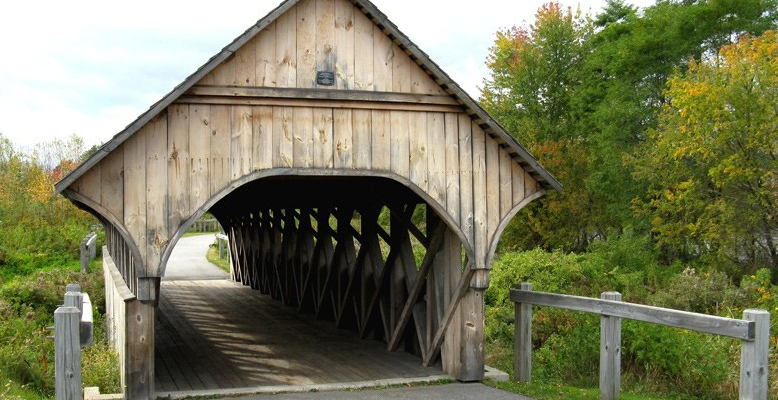 For more information on a trip to Bethel, Maine visit the official tourism board site.